Info e Booking: management@combrecords.com Menini & Viani have been working together as DJs and producers since 1989. They met each other in their hometown, Venice, where they started their music experience playing in the city's clubs. Working then together and individually, they then performed in cool spots in Italy and in iconic clubs like "El Divino" in Ibiza. Their Dance and House music productions soon reached success and in 1994 Gianluca Viani's Livin' Joy project reached top positions in the World Charts with the single "Dreamer". 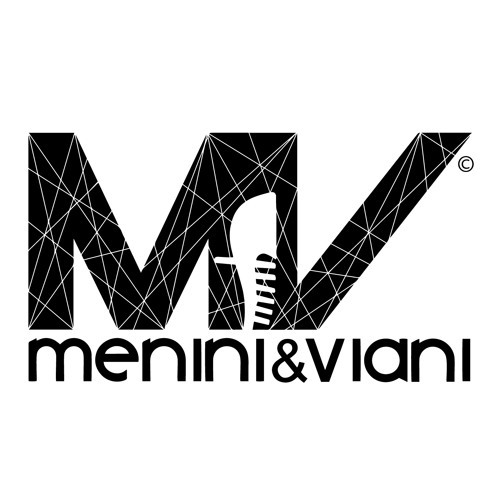 Still sharing the same love for the pure House Music style and arrangements, Menini & Viani started a new project together in 2008. The first act of their partnership was the release of the Dark Beat single, recorded for Loudbit and with Christian Key on vocals. Dark Beat reached immediate attention and, being played by international DJs, soon entered the world top charts sales. Their next single “LA LA LAND" met also positive reactions and along with DARK BEAT was featured among the most played record at the Winter Music Conference held in Miami in March 2009. In Summer 2009 they were awarded as Best Italian remixers and producers @ Italian Music Awards and in 2010 they released their most important production, TAKE IT, a single produced with SHELBY J (Prince's Singer and coauthor) Menini & Viani also produced a lot of remixes such as “Catch When “I FALLIN" by SUPAFLY and "PUSH N PULL" by SYLVIA TOSUN that reached the first position on BILLBOARD DANCE CHART USA and “SWEET LOVER"(2011) featuring a special performance by INAYA DAY. Their latest productions "MEXICAN" and "ANKAMASSA" have been supported by FATBOY SLIM, ROGER SANCHEZ, ANDI DURRANT, MARK KNIGHT, STONEBRIDGE and many more. During Xmas 2012 the Vocal Version of ANKAMASSA "IT'S ON TONIGHT" featuring ROZ BROWN reached the #1 into Music Week Club Chart. In 2013 they started to collaborate with pop phenomenon “JUTTY RANX", remixing their two single “I SEE YOU" and "HELLO" and with another epic remix for RASMUS FABER "WE LAUGH WE DANCE WE CRY". Menini & Viani then launched another magnificent production with their mates JACK & JOY named #AAHM (All About House Music), "AFA" “MASSABEO", and MENINI & VIANI & Nuthin Under a Million - “FALL WITH ME”. During 2015 they started working with "The Cube Guys" and with their label "Cube Recording". The first single "MASSAFISSO" (January 2016) was immediately played on different countries’ club charts. In the early months of 2016 they released the TERRI B remix “I’M COMING BACK" and MENINI & VIANI – “MY NAME” with The Cube Guys label, which was the most played track at Miami WMC 2016. In May 2017 the last release came out on Pornostar Records .. Menini & Viani “2NIGHT" (displayed in beatport chart / funky groove jackin house) supported and played by many radio show and gigs such as Crazibiza, Jango Music, Rezonation, Rio Dela Duna, Patrick M, and many more. On June 23rd Menini & Viani disclosed another production on Sosumi Records, “TRUST & SOUL”, which has already been presented by KRYDER in his radio show KRITERIA NR 82 and in our Soundcloud page, with 2,5k plays in a week. This track is supported by AXWELL, INGROSSO, ANTOINE CLAMARAN, STONEBRIDGE, ABEL RAMOS, GREGOR SALTO, DADID GUETTA, NICKY ROMERO, TOMAS GOLD, and it has been played by the best radio in the world! The Last release of Venetian duo is RASTA on Cube Recordings on Beatport Now, Also on Vamos Music a new release Antoine Clamaran - Clap Your Hands (MENINI & VIANI Remix) out on Beatport in February 2018 and exclusive release MENINI & VIANI “ Get Up” is the last climbing on Beatport chart for Tactical Rec. Com Records is the new label of Italian duo, stay tunes guys !!! !